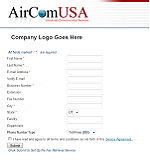 AirComUSA is a leading provider for business faxes. We favor businesses and cater to their needs. When your business signs up for AirComUSA's business fax account. We can provide your business with its own web page*. This page allows your business to get special rates for each individual employee account. This page makes signing up new employees and keeping track of current employees very convenient for your business. Your administrator has the convenience of signing up whoever and whenever is convenient for him or her. 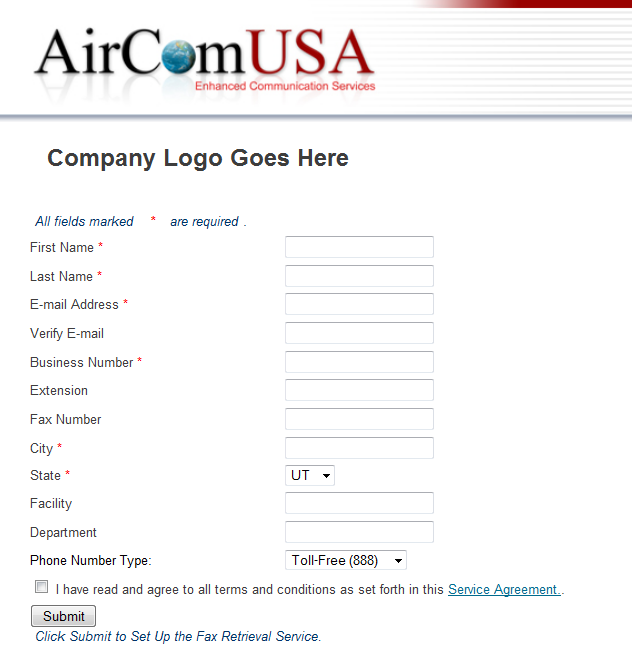 AirComUSA can save your business money. By choosing to use our business fax services you no longer have a need to own a costly fax machine. We eliminate the need to buy and refill costly toner cartridges. There is no more wasted money or resources on paper. We save your business time by eliminating the need to stand around a fax machine waiting for your fax. This also makes your personal faxes safe from someone else accidentally finding them on the company fax machine. With AirComUSA you no longer need to have files and files of old faxes to sort through. Do to the fact that we send you your faxes as .tif or .pdf files. You can store all of your faxes on your computer in easily accessible folders. This also cuts down on wasted paper resources. With your faxes on your computer you can print them when needed. *business sign up pages are typically for businesses interested in having ten or more accounts.